← Floral inspiration from a beautiful wedding at The Mansion in Austin, Texas! As Summer winds down to an end, and students prepare to head back to another year of school, you can count on their mood to be a little less excited than usual during this time. Seeing as most people do not like the thought of the sunshine disappearing and the textbooks opening, wouldn’t you like to brighten up their day? School colors. Here in Texas, we pride ourselves on the wonderful education that the University of Texas offers, so you should certainly consider incorporating their colors of orange and white into your floral arrangements. Roses are a wonderful option for any floral arrangements as they come in an array of colors and are available all year long. 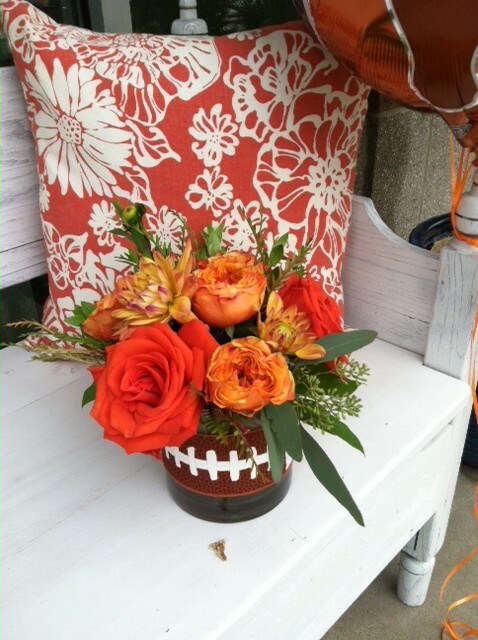 So if you are seeking a way to bring the colors of Texas to life within your flowers, then orange and white roses are a very beautiful choice.Back to school also means that football is around the corner as well, so if your student is a sports fan, then why not create an arrangements that incorporates the rugged elegance of sports within your arrangements? It is an especially great choice for the guys! Gift Baskets. If your student isn’t into flowers, consider a gift basket with tons of goodies that they can enjoy. From healthy baskets to ones filled with sweet treats, there is a great option for everyone. As we head into Fall and colds arise, you may want to consider our Stay Healthy gift basket. Filled with items such as water, coconut water, lemons and granola bars, you can keep your immune system running in a positive direction with this lovely basket. Seeing as this is college, and your student spends the majority of their time running around to classes and extracurricular activities, sometimes a basket full of munchies is the perfect gift. Our FTD Big Munch gift basket consists of all of your favorite snacks; chips, candy bars, salsa and cookies are just a few items that construct this sweet and salty basket, which is the perfect choice for your busy student. Easy maintenance. 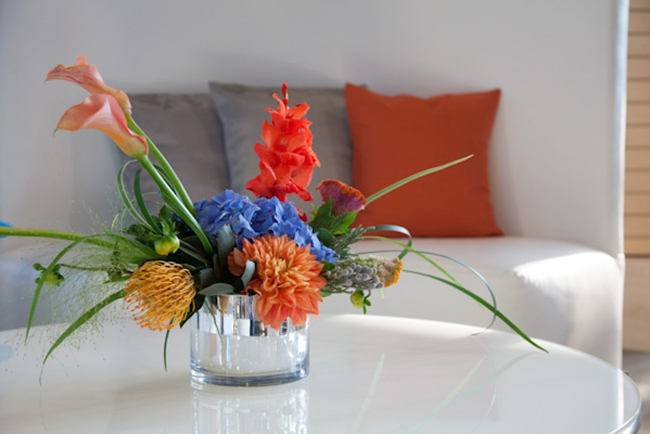 School keeps your student very busy, so maintaining a beautiful bunch of flowers is not always an easy task. However, there are floral arrangements that need very little TLC, such as succulents, which can provide as a long-lasting beautiful option. Succulents offer such an intricate uniqueness, and can certainly brighten up any dorm room. Thriving in dry and warm climates, these little beauties store water in their leaves, making it so they need very little tending to. 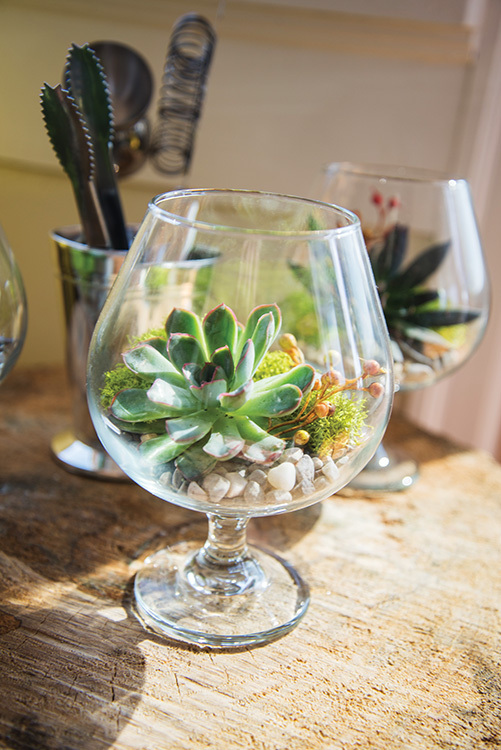 Also, succulents can provide as a great element of decor if placed within terrariums, which is a gorgeous glass display adorned with soil, rock or sand, perfect for a desk to accompany your student during homework time. Everyone deserves their day to receive a little bit of happiness, and all it takes is a lovey flower arrangement or a gift basket to do the trick. Here at Texas Blooms & Gifts, we know how to create elements within flowers and baskets that provides a personalized touch, allowing the receiver to feel extra special. Be sure to contact us today, take a look at what we have to offer and start putting a smile on someone’s face. This entry was posted in Uncategorized and tagged #bouquet, #eventflowers, #events, #floralarrangements, #flowers, #texasblooms, #texasflowers, #weddingflowers. Bookmark the permalink.